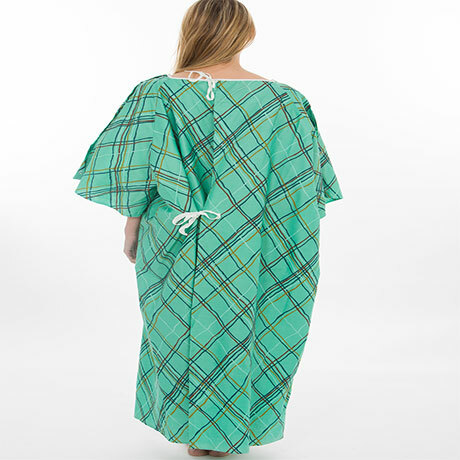 This IV Gown features a telemetry pocket and snaps. The fabric is composed of 55 % cotton/ 45% Polyester yarns with full overlap closure for patient modesty, providing optimal coverage. The 4.1 oz/square yard Twill Heavy weight fabric also meets California Fire Code Specifications. Available in Green Multi Stripe print and Blue.